Choosing the perfect wedding venue can be tricky. The wedding planning experts at Pink Cloud 9 have helped hundreds of couples find and make the most of their dream location. Here are three quick tips to help you select the best setting for your big day. How many guests will there be at your wedding? 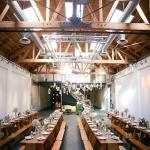 Your guest count can determine if you hold your wedding at an intimate restaurant or in a huge studio space. *Expert tip: Take into account how mobile your guests are. Does your grandmother want to hike up a mountain for your vows? Will it be a religious ceremony? Religious ceremonies often need to be held in a traditional place of worship. If that’s the case, remember to book the ceremony location before the reception venue, as dates are often limited. You’ll also want to make sure that the two sites are near each other. *Expert tip: If religion isn’t a huge part of your lives but you still want to do something spiritual at your ceremony, make sure you look into getting any necessary permits first. How late do you want your wedding to go? Some venues have strict clear-out times because they’re in a residential area or have liability issues. 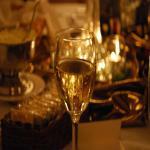 If you want to party all night long, make sure you choose a party-friendly spot like a banquet hall or a restaurant/bar. There are many things to consider when choosing the right venue for your wedding. Dream locations can quickly become nightmares if you are not prepared to ask the right questions. With these basic tips you should be on your way to making your big day a success. For more quick and easy wedding expert advice, Pink Cloud wedding coordinators are just a click away.